Ukrtransgaz JSC, acting as part of the implementation of the unbundling roadmap, has registered LLC Gas Transmission System Operator (TSO) of Ukraine, which is required to start the legal separation of the gas transportation functions from NJSC Naftogaz Ukrainy. 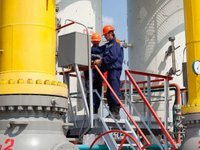 The decision to create the operator, which is one of the key stages of the unbundling process, was made by Naftogaz on January 29, Ukrtransgaz's press service said. Ukrtransgaz wholly owns the new company. Former Vice-President of Ukrtransgaz Pawel Stanczak was appointed the general director of the operator. "The launch of the Gas Transmission System Operator of Ukraine will allow the proceeding to the next steps in the process of unbundling of the TSO including the involvement of the foreign partners, application for the conditional certification and transmission of the necessary assets. After the completion of all stages, the creation of a fully functional and separate TSO of Ukraine on January 1, 2020, is scheduled," Ukrtransgaz said in a statement.